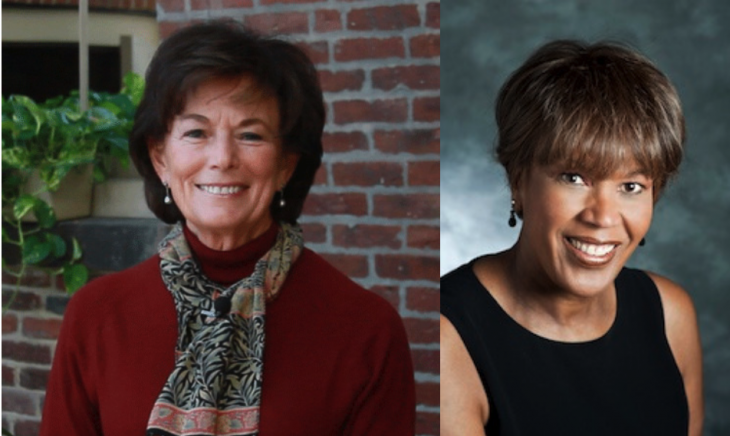 Local TV news trailblazers Natalie Jacobson and Liz Walker both stepped away from their respective anchor desks more than a decade ago, but they remain two of the most recognizable television news personalities in the Boston area. Jacobson and Walker competed head-to-head through the 80s, 90s, and 2000s in a news race between WCVB-TV and WBZ-TV, as the stations fought to become the dominant local TV news source in what is now the tenth largest television market in the country. Jacobson anchored at WCVB-TV from 1972 to 2007 and was the first female anchor of a Boston evening newscast, while Walker anchored at WBZ-TV from 1981 to 2005 as the first African American weeknight anchor. Now they are reflecting on the challenges facing the industry that made them household names as part of Northeastern University’s Reinventing Local TV News Project. There are actually promising signs for local TV news. It remains the way most Americans get their news, but viewership has declined, even for the most-watched stations. Jacobson and Walker offered their advice on how TV news operations can grow their audience.